Did you see the Design Wars battle this week? The contestants both made convertible hat/cowls. They were awesome projects. If you missed it, stop by HERE. 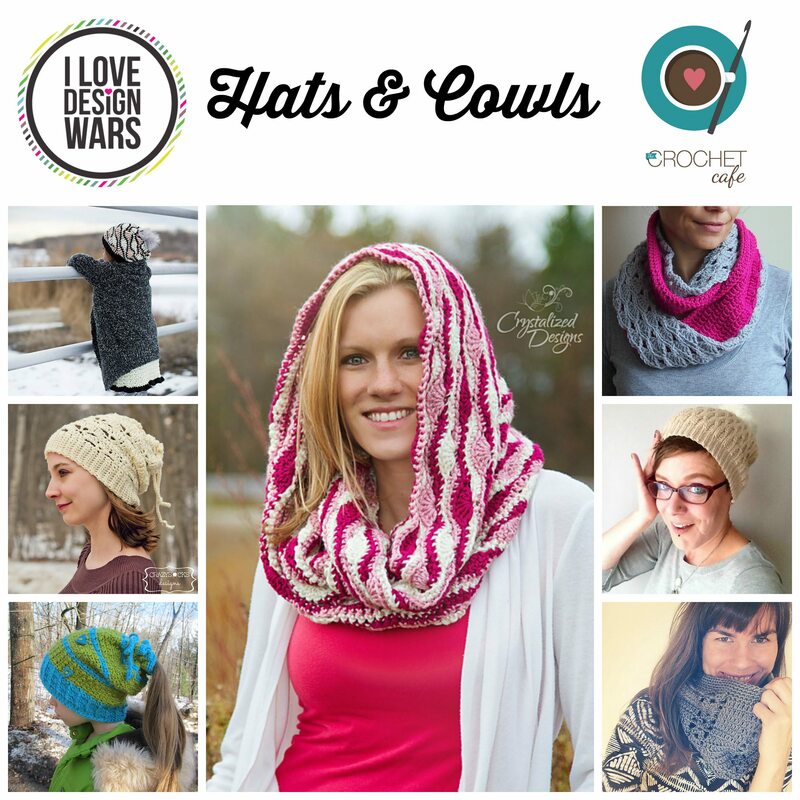 This week, I decided to share some patterns from our Design Wars designers that are hats and cowls, and some are both!!! I love fun, unique designs, and anything convertible really fits the bill. The Lindsay Slouch by Danyel Pink Designs. It’s a Slouch and a Cowl! The Serene Reflections Hooded Cowl by Crystalized Designs. Wear it as a cowl OR a hood! The Floating Hearts Convertible Beanie pattern by Blackstone Designs works especially well for long ponytails. Any of the photos will take you to the Ravelry link to purchase these patterns. And they are definitely worth the purchase. You will enjoy them and these are great patterns to use for holiday gifts too!